Revelations: revealing the foundations of life, explores the subject of human biology, from inside the research lab to the world of applied biology. 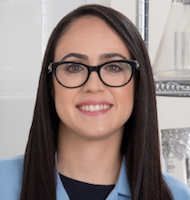 Emily Manoogian, Ph.D. is a researcher at the Salk Institute who studies the intricate interaction between our body’s biological rhythms and the timing of our daily habits. These internal rhythms interact with our daily behaviors of when and how much we sleep, eat, and exercise. As the head of human research in Dr. Satchin Panda’s lab at Salk, Emily monitors the timing of these behaviors in thousands of people around the world to gain insight on how they relate to health. 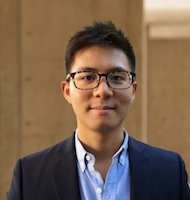 Patrick Hsu, Ph.D. is a Principal Investigator and Salk Helmsley Fellow at the Salk Institute. The Hsu Lab employs an interdisciplinary approach for discovery-based synthetic biology to develop new avenues for cell design and control, with applications in gene and engineered-cell therapeutics for neurodegeneration and cancer. Working at the Broad Institute and the McGovern Institute for Brain Research at MIT, he contributed to the early development of CRISPR-Cas9 genome engineering technologies. Amy Rommel, Ph.D. is a scientist, education and science advocate working with the Rainwater Charitable Foundation Medical Research Program. 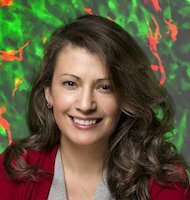 Her love for connecting natural processes to disease led her to reverse engineer a brain cancer adaptation that renders the tumor susceptible to immune cell surveillance during her time at the Salk Institute. She’s also engaged in education outreach with a particular focus on developing creative ways to bridge science with the community and spark interesting conversations. Tim Mullen, Ph.D. is Founder, Research Director, and CEO of Intheon, a San Diego neurotechnology company pioneering the first scalable cloud platform for “anytime, anywhere” neural state decoding empowering consumer, scientific research, health tech, and other communities. 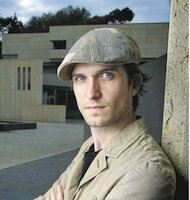 Tim is also a Creative Director for San Diego’s leading classical arts organization Mainly Mozart, and the founding director of the annual Mozart & the Mind series, exploring the impact of music on our brains, health, and lives. 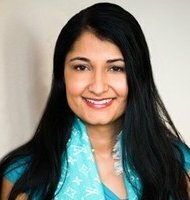 Pamila Brar, MD is Chief Medical Officer, Health Nucleus, Human Longevity. Her approach is to deliver up-to-date, evidence-based information for quick access by patients. She was named the Ellen Browning Scripps Chief Medical Resident in 1998, and is a graduate of the Scripps Clinic Internal Medicine Residency Program. She holds an MD degree from Louisiana State University at New Orleans, and is certified by the American Board of Internal Medicine and the American Board of Integrative Holistic Medicine. 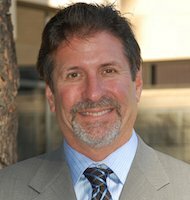 Paul K. Laikind, Ph.D. has over 30 years of leadership experience in the biotechnology and life sciences industry in San Diego. He currently serves as President, CEO and a member of the Board of ViaCyte, Inc. a leading company in the emerging field of regenerative medicine. Prior to joining ViaCyte, Dr. Laikind served as Chief Business Officer and Senior Vice President of Business Development at the Sanford-Burnham Medical Research Institute. 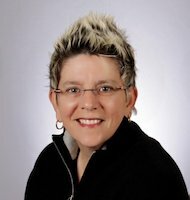 Karen Gütekunst, Ph.D. is currently Vice President of Diagnostic Development at Illumina and has over 20 years in the Diagnostic industry. Karen leads a team of scientists who are responsible for taking Illumina’s cutting edge sequencing technology and instrumentation through regulatory approval processes world-wide. As part of the Illumina team, she is excited to see next generation sequencing transform the way we think about complex genetic diseases, particularly cancer. 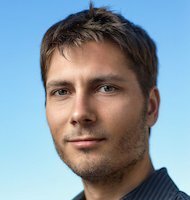 Dmitry Lyumkis, Ph.D. is Assistant Professor in the Laboratory of Genetics at the Salk Institute. The focus of the lab is to utilize and develop transmission electron microscopy techniques to understand the biological complexity characterized by large macromolecules and macromolecular assemblies. Personal interests lie in utilizing electron microscopy to gain insight into macromolecular assemblies, their structure, function, and dynamics, while at the same time pushing the technological limits of cryo-EM methodologies. 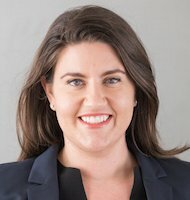 Stephanie Culler, Ph.D. is co-founder and CEO of Persephone Biome, which is taking a unique approach to gut microbiome health, understanding and leveraging the rich metabolic capabilities of the microbes themselves to develop targeted nutritional products and better therapeutic drugs. Stephanie was previously a senior scientist at Genomatica, developing and applying synthetic biology tools toward the engineering of microorganisms as biocatalysts for the industrial production of sustainable chemicals. 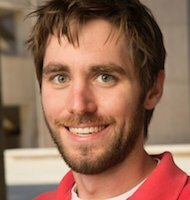 Ken Diffenderfer, MS manages the Stem Cell Core lab operations including hands-on training of new and experienced researchers, and procurement and validation of human stem cell culture reagents, in addition to advancing gene editing technologies. Ken was also instrumental in establishing and streamlining reprogramming methodologies in the stem cell core. For his graduate work, Ken completed a CIRM Bridges sponsored MS program in Biotechnology with an emphasis in Stem Cell Technology. 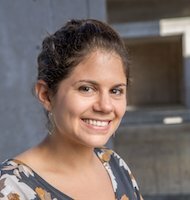 Margot Wohl is a Graduate Student Fellow at the Salk Institute for Biological Studies and neuroscience graduate student at UCSD. Her research centers on how brain cells and the molecules they exchange give rise to aggressive behaviors in fruit flies. She’s an avid science communicator, producing the KPBS “Rad Scientist” podcast. Her most embarrassing moment was asking John Glenn what the moon was like. She was ten. Can someone please build her a time machine to correct this error? 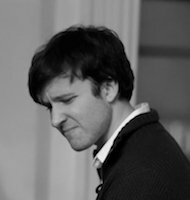 Chase Morrin is a pianist, composer, and educator from San Diego. Chase graduated from Harvard, earning a B.S. in Computer Science and a minor in Neurobiology. He earned a Master of Music (M.M.) degree from the New England Conservatory and a second M.M. in piano performance at the Global Jazz Institute, Berklee College of Music. Chase has performed at the Panama Jazz Festival, Centrum Jazz Festival, and the Monterey Jazz Festival, receiving the Gerald Wilson award for his big band composition “Mumphis”.